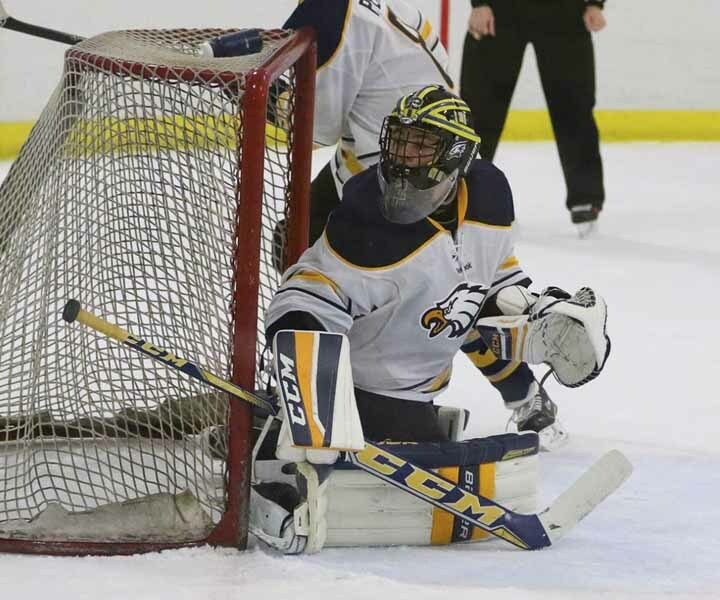 Congratulations to the Leyden Eagles Hockey Team (Combined Team with players from Leyden, Ridgewood, and Elmwood Park High Schools) on their 4-1 upset win over Maine Township. Ridgewood Goalie, Adam Johnson, led the team commanded the net in the victory! The team advances to play in the Final Eight this Thursday at the Edge Ice Rink in Bensenville.